A 64-year-old Swiss woman has become the oldest mother in her home country, after she gave birth to her first child through IVF in a Russian clinic. Mother, and her daughter of over four months, are said to be in good health. On a picture which appeared in Swiss tabloid Blick recently, the 64-year-old is carrying her healthy-looking little girl, and is not hiding her happiness. “When you harbor a wish so deeply, you must fulfill it”, she said. The woman, whose husband is 60, had a miscarriage when she was 61 but never gave up the idea of having a baby. According to Blick, she went for an examination in Italy and decided on in-vitro fertilization. But as Italy and Switzerland, as well as most European countries, are against IVF for women over 50, and very often even over 40, the Swiss pensioner had few chances to ever become a mother at home. She traveled to Russia where there are no age restrictions on this reproduction technique. In one of the country’s clinics she received an egg from a donor – which Swiss law says is illegal – and gave birth to a healthy daughter nine months later. The World Health Organization, WHO, reports that every fifth couple in the world needs medical help to conceive. 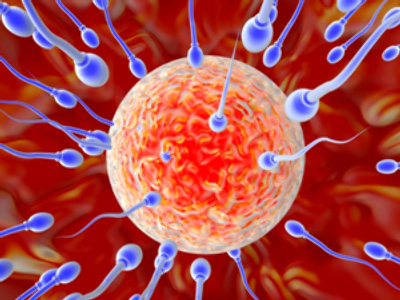 In late November, the European Science Foundation published a new report on male reproductive health, saying more than ten per cent of couples worldwide are infertile. That contributes to the growing demand for assisted reproduction techniques such as in-vitro fertilization. Regulations for IVF vary greatly around the world and even within Europe, but grounds for older women to use it remain the subject of tough debate. The complications that mothers over 40 can expect include a 300% greater chance for gestational diabetes and high blood pressure during their pregnancies. 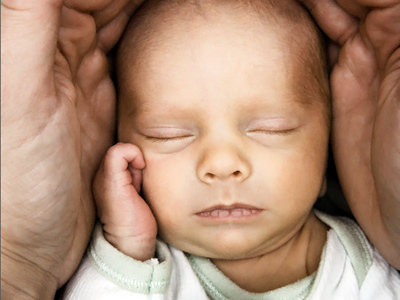 Older women also have higher rates of preterm births and placenta previa, a condition in which the placenta blocks the opening to the birth canal. Older women are more likely to experience a shortened pregnancy of less than 37 weeks, compared to the normal 40 week gestation period. Severe bleeding after birth and metabolic problems in the newborns are additional risk factors found in greater rates among older moms. After the age of 50, the risks and complications become even more severe. There are also the ethical aspects of fertility treatment for women past natural childbearing age. Many argue that it is unfair to the child to have a parent who may die when they are still very young. Last year, a 66-year-old Spanish woman who became the world's oldest mother, died of cancer just two-and-a-half years after giving birth to IVF twins, prompting a new wave of dispute. But while many older European women are finding it hard to get IVF help at home – because of legal restrictions or access difficulties – there is nothing prohibiting them traveling abroad for the procedure. Reproductive tourism has become a rapidly growing industry. Couples from the United States are traveling to Colombia, South Africa, Argentina, Ukraine, Mexico, Greece, Spain, Belgium, France, Israel, Italy, Germany, Malaysia, Singapore, Mexico, and India. At the same time, women from Western Europe are driven to seek reproductive assistance in Eastern European countries. In-vitro fertilization has a long history in Russia. The Soviet Union’s first ‘test tube’ baby, a girl Lena, was conceived at Leonov’s laboratory in Moscow and born in February1986, just a few years before Perestroika. A few months later another IVF child Kirill, Lena’s brother, was born in St. Petersburg. Today, out of 1,000 fertilizations, 72 are ‘in-vitro’ – not that many, as in developed countries 1.2 per cent of all babies are born through IVF. But Russia’s popularity in infertility and IVF treatment is growing. The Swiss pensioner is not the first woman to choose Russia to get a test tube baby. Fifty-seven-year-old Susan Tollefsen from the UK had a daughter after having IVF in Russia in 2008. The former teacher now claims she could soon return for a second one. First, the prices are extremely competitive in Russia. It costs about 2,000 dollars for one attempt – much cheaper than in the US, Australia, or a European country. But what is more crucial is that the Russian law on IVF is extremely liberal and flexible. There are no age restrictions, as there are in the UK or the Netherlands. Moreover, in many countries, such as France for instance, an egg donor cannot be anonymous, and few are willing to share their personal information. In Russia anonymous donation is legal. Evgeniya Balashova, the head of the clinic for family planning and reproduction of the Medico-rehab center Roszdrav, says there have been clients from Canada, Israel, Italy and the UK. She says she has never faced difficulties working with them as “they all are very disciplined patients”. Balashova says that the very complicated IVF procedure is almost the same across the world. It uses similar Japanese ultrasound equipment, German microscopes and British incubators for keeping cells. Most clinics use boxes from Denmark for conserving embryos. Only medicines produced by certificated pharmaceutical companies are used. The only difference is doctors, but they follow the same procedure and are constantly sharing their experience within numerous international reproduction summits. While foreigners are flowing to Russia for IVF treatment, this technique is not popular among Russians. Thirty years after the birth of Louise Brown, the world’s first successful test-tube baby, assisted reproductive technology has helped in the birth of over 3.5 million babies worldwide; only 10,000 of them in Russia. Ironically, one of the reasons for that is price: what is considered as competitive for Europeans is a lot of money for most Russian couples. Another reason is distrust and lack of promotion. This December, Russian President Dmitry Medvedev ordered the allocation of the equivalent of 40 million dollars from the Federal budget to allow about 10,000 couples to get free IVF. Tackling demography problems is among Russia’s top priorities. Family and maternity were at the heart of the president’s address to the Federal Assembly last month.